Getting energy usage under control is something we all need to work on. Climate change is one motivating factor, but there are also other economic factors for using less energy. 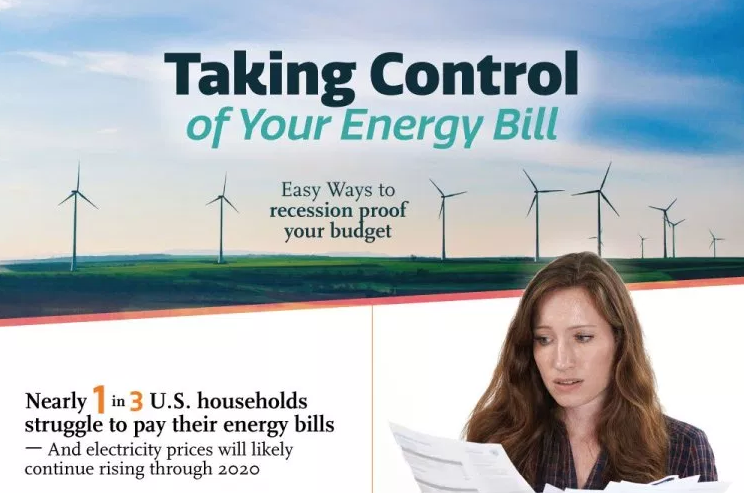 High energy bills cause an economic drag for everyone – when some people can’t pay their bills it can actually dampen economic growth for all of us. Electricity is something we need for survival at this point in human history, and it’s up to all of us to use it wisely. It may seem that more energy usage would be better for the economy, but that isn’t necessarily true. Every year 3 in 20 households get a disconnection notice, and that can easily snowball into late fees and still more money problems including evictions and foreclosures. Electricity is necessary – we use it to cook and keep our food fresh, to heat our bathing water and dish water, and to keep warm in the winter and cool in the summer. In fact, 63% of electricity usage is for necessities, while only 37% is for luxuries throughout the United States. More than 1 in 5 Americans has gone without basic necessities to pay for electricity, and all these hard times amount to an increasing drag on the economy, slowing down economic growth. Just replacing all your incandescent light bulbs with LED bulbs could save you $180 a year. Washing laundry in cold water only could save you $60 a year. Boiling water in a kettle instead of on the stovetop could save you $12 per year. Turning down your thermostat a few degrees could save you 10% of your power bill. Turning off computers and unplugging all your unused electronics could save you upwards of $850 a year. Even in the office we need to be mindful of power use. Smart plugs and power strips can detect when devices aren’t being used or have reached a full charge and can cut off the phantom power supply to those devices. There are also apps that can monitor your power usage through a device installed on the breaker box to give you an idea of just how much power you are using for many of those rarely-used electronics. Even if you plug all your rarely-used electronics into a power strip and shut it off when you aren’t using them you can save a significant amount of energy. Alternative energy is getting more affordable, and it can be a great way to save on your power bill. There are also deregulated markets where you can choose your power provider to negotiate lower power rates. Learn more about cutting down on energy usage from this infographic.